Give Pilates a chance and it will change Your life! We offer one-on-one sessions on all apparatus as well as small group classes on mat, reformer, and tower (up to 5 clients). Bring a friend, a spouse or a significant other for a duet session or create your own custom class. You can still do Pilates when you have an injury or a complaint. Our Licensed Physical Therapist/ Pilates Teacher will safely modify the Pilates program to your needs or will combine it with the traditional physical therapy protocol. Become a Classical Pilates Teacher. Receive an internationally recognized certificate and be eligible to sit for the PMA -CPT exam. Become a classical Pilates enthusiast and discover the multiple benefits of this ingenious method of exercising. Like many of our long-time clients for whom Pilates is a way of life, you too will thrive and reap the lasting rewards. Under the guidance of our highly skilled teachers, you will achieve your personal best. Improving body awareness, focusing on precise movements, and mastering better body mechanics are just a few of many benefits of developing a body-mind connection. You become skilled in the principles and fundamentals of Pilates and are able to apply them to each new exercise you learn. Aside from the varied equipment that provides a constant challenge, the method consists of levels of difficulty you strive to master. You layer new skills on top of the once already acquired, and continuously improve strength, flexibility, balance, coordination and correct posture. After each session, you feel very accomplished and rejuvenated, and you know that you just had a great workout. Contact us to sign up for Pilates sessions today! Harmonious Pilates is a classical Pilates studio in Roslyn, New York founded in November of 2000 by Joanna Telacka MS, PMA-CPT and Wojciech Telacki MS PT. Harmonious Pilates is a fully equipped studio teaching Pilates to clients as well as a Teacher Training School offering a comprehensive Pilates training to those who wish to teach pilates professionally. 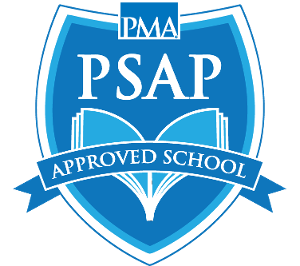 Harmonious Pilates Teacher Training School is PSAP Approved Pilates School. Joanna U. Telacka MS is a Pilates Method Alliance Certified Teacher and is certified in the Pink Ribbon Program, a therapeutic exercise program for breast cancer survivors. She is also an active educator of Pilates teachers and is the Program Director of the Harmonious Plates Teacher Training School. She is currently a member of the Pilates Education Group which is on the forefront of promoting Pilates educational standards for Pilates schools. 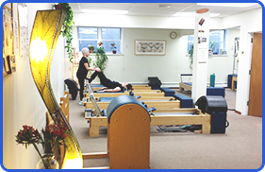 Wojciech Telacki MSPT is a Licensed Physical Therapist, Pilates Teacher, and a Pilates educator. Ann Marino is a Senior Pilates Teacher and a Pilates educator. Saturday, 7 a.m. – 1 p.m.